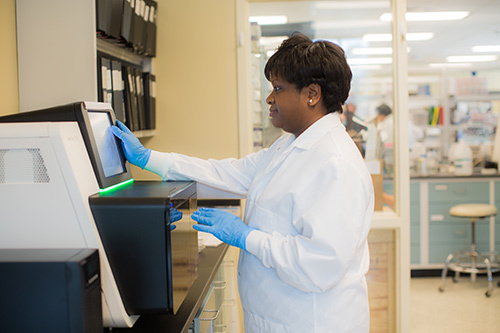 In October, the South Carolina-based Greenwood Genetic Center (GGC) launched a whole exome sequencing (WES) program. The technique, carried out via next-generation sequencing, is particularly appropriate for patients who need additional genetic testing, e.g., chromosome analysis and single gene sequencing, beyond traditional approaches. Bioinformatics specialists analyze the results to help narrow down the hundreds or thousands of gene variants, hoping that a single mutation can explain a patient’s condition. A group led by Charles E. Schwartz, Ph.D., director of research and head of GGC’s JC Self Research Institute, has been investigating genes associated with autosomal forms of intellectual disability (ID) and autism, utilizing clinical material available at GGC.